The author teaches political science at the City University of New York. He has also been a union organizer and an activist in various projects in defense of workers’ rights. He has shown particular concern with the plight of migrant workers. Theories of the ‘post-industrial society’ are based on the perception that industry is declining and the industrial working class shrinking or even disappearing. Ness points out that this is an illusion. Manufacturing and mining remain of vital importance to the global economy and employ more workers than ever before. However, they are no longer concentrated in the ‘Global North’ – North America, Europe and Japan – as they were in the twentieth century. They have moved to developing regions in the ‘Global South’ such as industrial zones in the three countries chosen by the author for his case studies – India, China and South Africa. The statistics that Ness marshals in support of this thesis are indeed striking. The share of the Global South in gross fixed capital formation increased from 14 percent in 1990 to 31 percent in 2010, while its share of industrial employment in formal sectors of the economy rose from 50 percent to 80 percent over the same period. The corresponding shift in the geographical distribution of wealth is less dramatic because much of the industry in the South is owned by capitalists in the North who repatriate the profits. Repeated use of the term ‘Global South’ in this connection may be misleading, inasmuch as the new industry is not spread throughout what used to be called the ‘underdeveloped’ or ‘developing’ countries. It is heavily concentrated in just a few countries and in just a few areas within those countries. Most of Africa, for example, is still pre-industrial. Clearly we need a terminology more differentiated than binary divisions like developed/developing or North/South. The main interest of the book lies in its descriptions and analyses of workers’ struggles in three regions – the Gurgaon industrial belt near New Delhi, the Pearl River Delta in southern China, and the mining belt in the northwestern part of South Africa. The three cases differ considerably in terms of political context, union organization (or its absence) and market conditions, although there are some significant common features – notably, the sharp divide between relatively secure and well paid ‘permanent’ workers and insecure and poorly paid ‘temporary’ or contract workers (often migrants). Of the three groups studied it is Chinese workers who have made the greatest gains in recent years. This is despite the fact that – in contrast to India and South Africa – they are prevented from forming independent trade unions and can organize themselves only within the workplace. The crucial factor seems to be an emerging labor shortage – an inadvertent result of the one-child policy. Employers in India, where labour is in abundant supply, have responded to labour unrest by firing and replacing entire workforces. In China this is not a feasible option. The account of the miserable pay and harsh working conditions of platinum miners in South Africa, whose protests led to the massacre of striking workers at Marikana in 2012, reveals how little ‘black’ working people have gained from the abolition of apartheid. ‘Black’ politicians, union bureaucrats and police are no less ruthless than their ‘white’ predecessors in manipulating and repressing ‘black’ workers in the service of (still mostly ‘white’) capital. Ness appears not to have a definite political affiliation, but his theoretical framework (in particular, his concept of ‘imperialism’) shows signs of Leninist influence. He has illusions regarding the position of workers in China under Mao, claiming that the working class enjoyed social benefits and job security. In fact, the division between permanent workers, who did possess such benefits, and temporary workers, who did not, was already well established at that time. The author’s writing style could do with improvement and the tables contain some errors. Nevertheless, the book has a lot to offer and is well worth reading, for it does at least attempt to grasp the evolution of capitalist society and the working class as global phenomena. 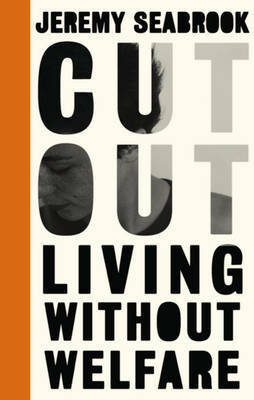 ‘Cut Out: Living Without Welfare’, by Jeremy Seabrook. Pluto Press/Left Book Club £12.99. This volume combines two elements. One consists of interviews Seabrook conducted in the West Midlands, mainly Wolverhampton, with people who were at or near the bottom of the social pyramid. These are interspersed with his comments on the ‘welfare’ system and government attacks on it. Some of the experiences revealed in the interview accounts are just appalling, and many go back years, well beyond the current austerity policies. One woman is nearly sixty but has only ever had one holiday in her life; she is lucky if, after everything else has been paid, she has £10 a week for food. Another woman is paying off a loan at £43 a fortnight, has rent arrears of nearly £400 and owes £1400 on water bills. One man has been paying back £7.20 a week to the Department for Work and Pensions for thirteen years, after he misunderstood the rules for working while claiming benefits. He is illiterate and could make no sense of the various letters he received. Older immigrants from South Asia (especially the women) often speak little English, and this affects their ability to cope with the benefits system. The bedroom tax is often mentioned as a big contributor to people’s problems. One woman with hereditary neurofibromatosis keeps her electric wheelchair in one room, but it is counted as a bedroom for purposes of the tax. Many people live in permanently cold homes because of the cost of heating, and they buy the very cheapest food (such as twenty pieces of chicken for £2 from a supermarket). In addition, the difficulties of living on benefits are not just financial: there is the loneliness and isolation, and the disrespectful (to put it mildly) treatment from Jobcentre staff. Many who had dreadful experiences as children, whether from sexual or other abuse or the early death of a parent, are still suffering in later life, but the welfare system pays little attention to such past histories. Seabrook’s main claim is that poverty (in the sense of destitution) has to remain because, from the view point of capitalism, it represents a deterrent aimed at those who are living somewhat above this level. The poor must be punished but should not be eliminated; they can be used to frighten others into conformity. The welfare state might appear to be redundant, given the wealth of advanced industrial countries, but it is in fact still needed, as misfortune, such as ill health, an accident or redundancy, can strike almost anyone. 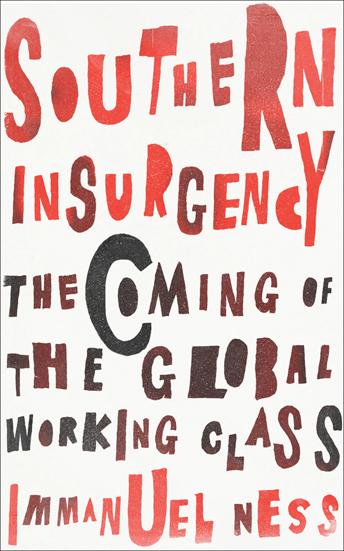 Seabrook believes there is little chance of overthrowing capitalism, but his book provides plenty of evidence of why this needs to be done as soon as possible. Yet another book by a leftist on Greece, this time by veteran Trotskyist Roger Silverman. The first 6 of the 15 chapters are a potted history of Greek politics since a Greek state was set up in 1821. Although there were elections before, often rigged, Greece cannot be said to have become a capitalist political democracy till after the overthrow of the Colonels’ military dictatorship in 1973. Up till then the coercive parts of the state machine – the armed forces and the police – were not controlled by the elected parliamentarians but were a law unto themselves, intervening from time to time to overthrow any government which acted or threatened to act in a way they disliked. Greece had had radical leftwing governments before Syriza was elected in January last year. In the 1980s it was Pasok. Like reformist governments everywhere, and in the 1980s like Mitterrand in France, Pasok failed to make capitalism work in the interest of the majority class of wage and salary workers and ended up imposing austerity on them. It failed again in the 1990s and in 2009. So Syriza’s failure was nothing new. He employs the same language as us, writing that there is no solution to the problems facing Greek workers either within capitalism or within Greece alone, and that the only way out is to get rid of capitalism on a world scale. But of course he doesn’t mean the same. He envisages (wait for it) this being led by ‘a single party of the working class’ leading to a regime similar to what the Bolsheviks established in Russia after 1917. Trotskyists are so predictable.